AS is said, where there’s smoke there is fire. Damn straight. Not only that, ISIS’s preps will accrue benefits in the not too distant future, that is, if one is looking forward to multiple explosions within the U.S.
NOW, it is no longer debatable, as to whether or not ISIS (and allied terror groups, including drug cartels) is inside America and plotting attacks. After all, the evidence is overwhelmingly in the affirmative and that is that. In tandem, it has already been confirmed that a military-style ISIS terror compound is decamped only a few miles from El Paso, Texas, in the Anapra neighborhood of Juárez and in Puerto Palomas. More than alarming. MOVING right along…the poisonous fruits of HUSSEIN Obama’s labors are prepping to explode. As indicated, a two-prong probing is in place; within America and poised inside Juarez, Mexico. DEMONSTRABLY, as related in Dec. 2014, “ISIS (and attendant jihadi tentacles) is embedded in America” and planning multiple terror attacks. Mind you, this prognostication took place a full 5 months before their opening shot in Garland, Texas. Dead on. ATOP all of the above linked assessments, along came an IED/dirty bomb warning, and its specificity was outlined in a June 2014 commentary, almost a year ago. ALMOST 13 years after the most horrific terror attacks on America since Pearl Harbor, Al Qaeda’s ISIS soldiers on, blowing up everything and everyone in its wake. Tribal rivals en mass. The point being, does anyone in their rational mind believe that Americans, Israelis and the west in general will escape their cross hairs, as exhorted by their mouthpieces on multiple occasions? Ignore them at your peril. Oh, and flush down the toilet Barack HUSSEIN Obama’s lying rhetoric: Al Qaeda is on the run!! President Obama had said that al Qaeda is nearly defeated and the war on terrorism has changed since he took office, and that demands a broad rethink that includes scaling down drone attacks, transferring detainees from Guantanamo Bay and revisiting the 2001 congressional resolution that set the country on perpetual war footing. 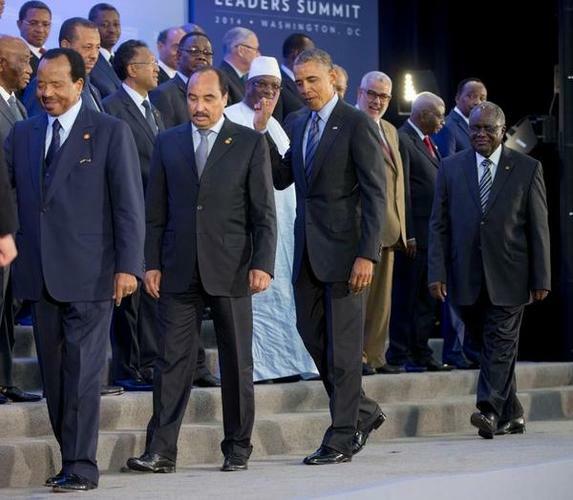 After the death of Osama bin Laden and his top lieutenants, al Qaeda has been decimated, scattered across the North Africa and the Middle East and able to launch only small-scale attacks, Mr. Obama told an audience gathered at the National Defense University in Washington. Senior administration officials went further by telling reporters that Mr. Obama wants to jettison the whole mindset that the U.S. is still engaged in a war on terrorism…..
ON the other hand, Al Qaeda’s ISIS have other ideas…. The Islamist organization which has overrun large areas of Iraq and Syria declared itself an Islamic caliphate and proclaimed its leader Abu Bakr al-Baghdadi “imam and Khalifa for Muslims everywhere,” ISIS spokesman Muhammad al-Adnani said in a statement Sunday night. The statement was posted on Islamist websites and Twitter in several languages. AND on and on the alarms bells ring, yet, Obama Inc. is tone deaf. What’s going on? Well, the lynch pins are scattered throughout this site, but one hits especially hard: HUSSEIN Obama (and his FED security apparatus and related agencies) catapulted ISIS F/B/O the Brotherhood Mafia and the establishment of the Caliphate! Yes, the trail on this charge is very clear. BUT before we connect their “probing” of U.S. defenses – in anticipation of mega strikes – the following is resonant and germane: it is more than likely that ISIS hacked into military personnel sites. It is imperative to internalize that more than a handful of U.S. (other western nations alike) tech trained graduates have joined their ranks, including, one who was recently (May 2015) dispatched to (pagan) Allah! ISIS’s tech guru, Ahmad, has his roots in Boston. Beantown’s “favorite (terror) son” picked up a tech degree at Northeastern, one of Boston’s major universities…it doesn’t have the star power of MIT but it’s good enough. WE are not done yet…Ahmad is also the proud progeny of a MAJOR Brotherhood, ISIS-aligned leader! “Papa Doc” and techie son, a duo conjured up from the pit of Allah’s fiery hell hole lived for many years in Boston! 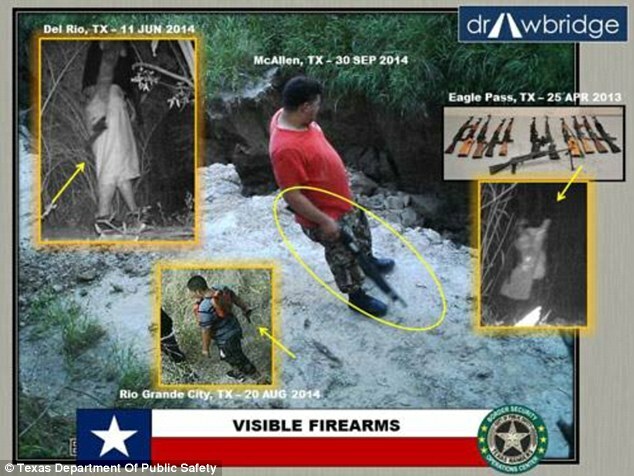 SO now that the stage is set, let’s move on to some visual aids, those which will aid in highlighting the steady stream of illegal (many of whom are aligned via narco-terror and related activities) aliens, and what this means in relation to what awaits re the topic at hand. 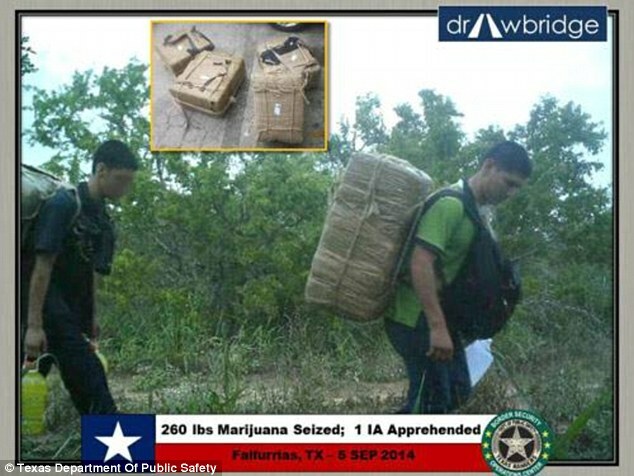 of illegal immigrants sneaking into the country on a daily basis. BACK to the actual “probing” of defenses…. There are claims that are going to be made in this article that will, on the surface, seem to be quite unbelievable. However, the facts have established that ISIS and their partners (e.g. Hamas, Sinoloas , Zetas, Sanchez Peredes) have penetrated into the United States and have set up deep cover residence. This latter fact is not surprising. What is surprising is that ISIS has engaged the US military and the the US military has engaged an ISIS led conglomeration of terror groups on US soil. In the first part of this article, the case supporting a strong ISIS presence on American soil is made. 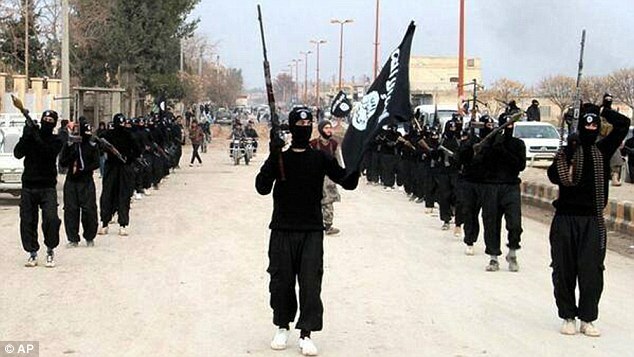 In the second part of the article, the case for the engagement of ISIS led forces is offered. I have three friends involved in the matter in Ferguson reporting in private and on-air. They are Dan Page (USA retired), Mr. Sam Andrews coordinator of the Oath Keepers in this matter and a friend of 25 + years we are calling “American Patriot”. Be advised: Command Sergeant Major (RET), Dan Page, states he has intelligence that we have direct involvement of ISIS (Islamic State In Iraq) and the PLO (Palestinian Liberation Organization) on the ground in Ferguson/St.Louis. Further be advised: my reporters and myself are convinced the protesters want out-of-control chaos up to and including fatalities on both sides. Local AM talk radio is bursting with callers wondering why there was no police/National Guard presence to protect what was clearly the most vulnerable targets of the rioters, namely the businesses in Ferguson and St. Louis that were well-known to be flash points for violence. 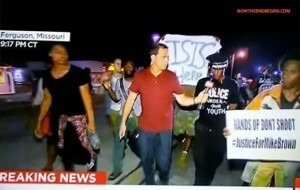 John Moore and Dan Page’s assertion that ISIS was a motivating force in the Ferguson riots was supported by the following photo and two tweets. As you get ready to watch football, realize that they are here. They exploit every situation and they are recruiting our youth. Between John Moore’s warning and the visual evidence, there is not a doubt that ISIS has established their presence in places like St. Louis/Ferguson. 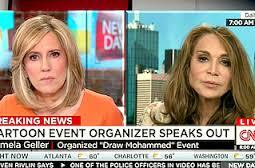 The founder and organizer of the “Draw a prophet” contest, Pam Geller. How quickly we forget about Pam Geller’s “Draw a Prophet” event in Richardson, Texas in which two ISIS member traveled from Phoenix to Texas intent on killing everyone at the event but were fortunately stopped by local law enforcement. ISIS claimed responsibility for the attack on American soil. ISIS taking credit for the Garland, TX. attack. 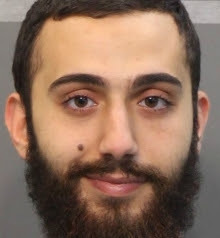 Sleeper cell assassin, Muhammad Youssuf Abdulazeez, who murdered four American servicemen on the first day of Jade Helm exercises. The attack on American military recruiters in Chattanooga, TN., was carried with sophisticated military precision. Abdulazzeez carried a diversion attack to draw law enforcement to one area, so he could carry out his primary attack seven miles away. The diversion bought him the time he needed to carry out the execution of these servicemen. Of course, ISIS wasted no time claiming responsibility for this heinous crime. 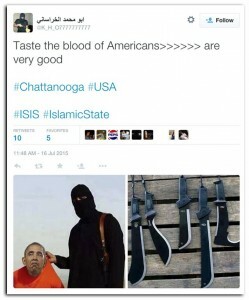 ISIS tweet connected to Chattanooga attacks on military recruiters. F-16 brought down, not shot down, at the Mexican border. On the surface this appears to be a tragic accident as an Iraqi pilot, who was our partner in our fight against ISIS, was tragically killed in an accident. In actuality, nothing could be further from the truth. I previously reported that I had two confidential sources, one who is on the inside, and another who has connections to those on the inside and they are both independently saying the same thing. “The crash of this F-16 plane was no accident”. The circumstantial evidence forms a “preponderance of the evidence” which supports the fact that Russia is ultimately responsible for the take down of this particular F-16. The proliferation of EMP weapons has expanded beyond previously unimagined levels. There are how to manuals on how to make your own. However, the type of weaponry designed to take down an F-16 flying at about 10,000 feet would have to be amazingly sophisticated and would likely be guided by portable radar with the assistance of lasers. In my previous article, I demonstrated how Russia supplied the weapon to ISIS and how they carried out the attack. ISIS is operating a camp just a few miles from El Paso, Texas, according to Judicial Watch sources that includes a Mexican Army field grade officer and a Mexican Federal Police Inspector. Yet, President Obama is completely ignoring this fact. This is a monumental national security issue and all we hear from the Obama administration officials are the proverbial crickets chirping. Obama is willing to chase ISIS into Syria and risk a confrontation with Russia, but he ignores this well-documented ISIS base camp which is located mere miles from the border and El Paso, Texas. This base camp has jumped to the top of the suspect list as to who initiated the take down of the crashed F-16. Is there any doubt that ISIS is here and they are probing our defense before the final attack. 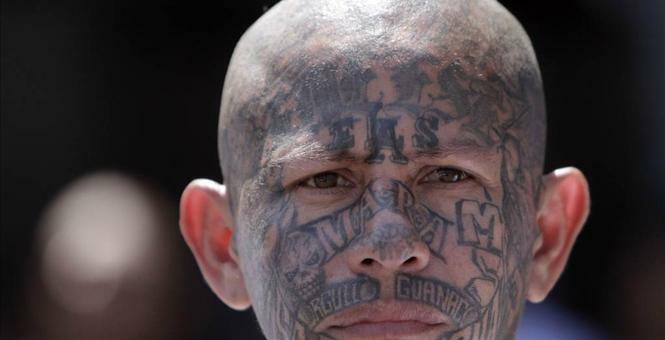 Last week, I published a story which detailed the interconnection between most major Middle Eastern terror groups, MS-13 the largest drug and arms shipping cartel in the world, the Sanchez Peredes as well as most of the major Mexcian drug cartels who are receiving paramilitary training in San Salvador. Training for what? Many are thinking that they are training for military incursions into the United States. Recently, I published a story which contained automatic gunfire on a recording made in the southern end of Martin County. According to Brock, this was followed by a mjor explosion. This event repeated itself three days later. 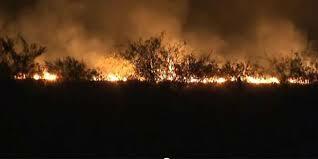 There were also two hunters, in the area, who heard the explosion and saw the tracer rounds. A subsequent investigation conducted by locals found Humvee tracks and other truck tracks in this remote area. Multiple Martin County residents called the Sheriff and reported the events. The Sheriffs Department could care less. They blamed the explosion on someone, who probably had dynamite. This explanation does not address the automatic gunfire. The Sheriff’s Department and the local media, who have been told, do not want to get involved. I have take the existing evidence to experts who have concluded that a bunker buster bomb was dropped in the area from a plane, flying at 20,000 feet, and this event was followed by automatic gunfire leaving the two experts that I spoke with to conclude that a bomb was dropped and when the targets made a run for it they confronted with automatic weapons blocking an escape route. Is this a rogue and covert Jade Helm operation sent to interdict ISIS infiltrators? Remember, I received an email from a Texas Ranger who said that stopping ISIS incursions had become their primary function. Paul Martin contacted me last night to inform me that a Weld County Sheriff had confided in him that he knew for a fact that ISIS was in both Greeley and Cheyenne. No other details were conveyed. However, this is very interesting because the Monfort Meat Packing Plant was routinely raided by the Federal Goverment for hiring a massive amount of illegal aliens. In this present administration, no such raid would ever take place because Obama has opened the flood gates to illegal immigrants. The Monfort plant would be an ideal location for terrorists, posing as immigrants to work and build a staging are from which to launch their future operations. Documented recent history serves to support this notion. It is clear when we look at the current event, and combine them with past events, that terrorist organizations, with paramilitary training, would cross our border like any other immigrant. Only these “immigrants” have dire intentions. I am confident that the approximately 5000 residents of Martin County, TX. and the resident of Greeley, CO. and Cheyenne, WY., are going to become hypervigilant and much more is going to surface. IF anything, it is this investigative journalist’s contention via considerable analysis – from both open source info and counter terrorism contacts attached to this site – that it is not a question as to whether or not they are “probing” for mega attacks, but how soon they will be executed. And this is not to say that local agencies near the southern border, ground zero, aren’t keeping a watchful eye. YET, it would be wildly dangerous, actually delusional, to expect the very same FED agencies under the command of the Islamist-in-Chief – knee deep in protecting ISIS – to lift a finger to rein them in.